What to do with butterflies who have lived out their brief natural lives? Honor their beauty by wearing their wings. Sterling silver bezels hold small squares of butterfly wings between two panes of glass so you can see both sides. 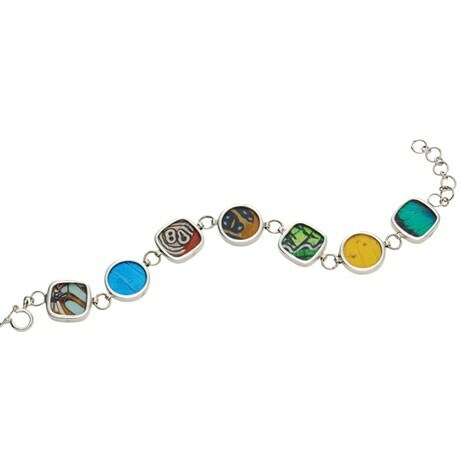 Colors and patterns will vary widely, and no two bracelets are ever alike. Adjusts 7 ½"-8 ½" with locking clasp.